Don't be stuck cleaning up the aftermath of April Fool's Day. ECOVACS ROBOTICS is jumping into April with a bang by introducing the all-new OZMO™ Mopping Technology to the market. Being the first robot in the series - DEEBOT OZMO 610 has now arrived in Malaysia to bring intelligent cleaning experience to users. Thinking of going all out for April Fool's? Have a handy companion to clean up from all the pranks and gags after throwing invisible ink on your friends! The DEEBOT OZMO 610 is optimized by the proprietary OZMO™ Mopping Technology - features a mopping system that is fitted with an intelligent and electronically controlled water tank that is able to pump water into a cleaning cloth. 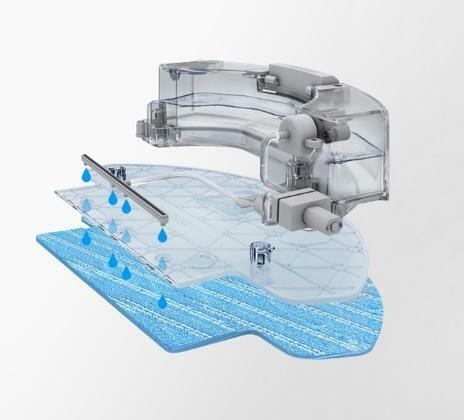 When the mopping plate is attached onto an OZMO™ robot, it pumps enough water to adequately wet the cleaning cloth without soaking it and starts the mopping function automatically. Equipped with a large water tank of 300ml, one fill can cover cleaning the whole floor without the need to refill it. You can only focus on tasks at hand and do more of what you love instead of worrying about vacuums and mops. 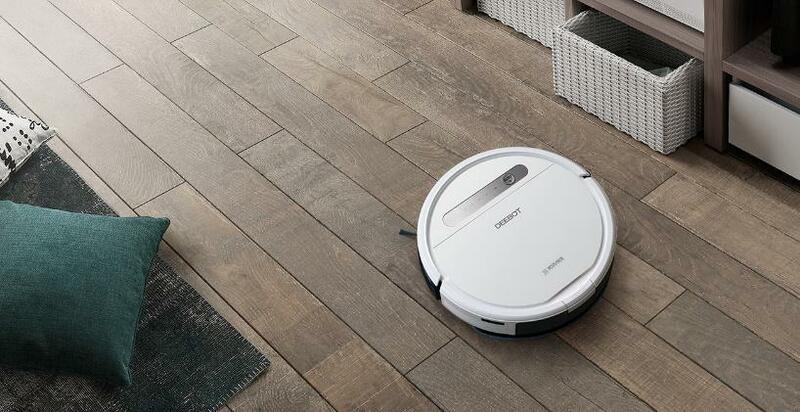 On top of OZMO™ Mopping Technology, DEEBOT OZMO 610 is optimized to follow an efficient back-and-forth cleaning path to ensure less is missing during the cleaning. Additional safety features are also built into the robot to ensure that no water is pumped when the unit is stationary or returning to its charging dock. Maximizing cleaning power, the robot’s vacuum also has the option for interchangeable suction for different cleaning needs. Let your pooch or feline friend roam free without pet fur flying everywhere with the Direct Suction and attach the included V-shaped brush that works on carpets to lift particles off the ground. By integrating these cleaning functions, the OZMO 610 is an adaptable master at providing an impressive and thorough clean. Leave the cleaning to DEEBOT OZMO 610 and liberate yourself from mundane cleaning routines to focus on the things that matter. Control your cleaning super machine from wherever you are. Simply use the ECOVACS App on your smartphone to set cleaning schedule, cleaning modes; monitor DEEBOT status or even control the flow of water for the mopping unit. With so many options on the app, you can get the best clean for your needs without you rolling up your sleeves. It also comes with a remote control as an option if you don’t want to be connected. DEEBOT OZMO 610 is always ready for your customized clean. Take care of dust, stains and even gags this April with the OZMO 610! Don’t miss out on the exciting release of the OZMO 610! The OZMO 610 will be available in stores on April 2018.